Raspberry Pi users may be interested in a new HAT which has been created by the team over at Think Engineer based in Reading within the UK. The aptly named CapHat as a new Raspberry Pi HAT which supports all versions of the mini PC and features an easy clip on capacitive keypad which can be used for a wide variety of different applications and projects. Watch the video below to learn more about the CapHat, the inspiration behind it and its features and set up. Product development specialists Think Engineer are set to launch an exciting new accessory for the Raspberry Pi hardware. 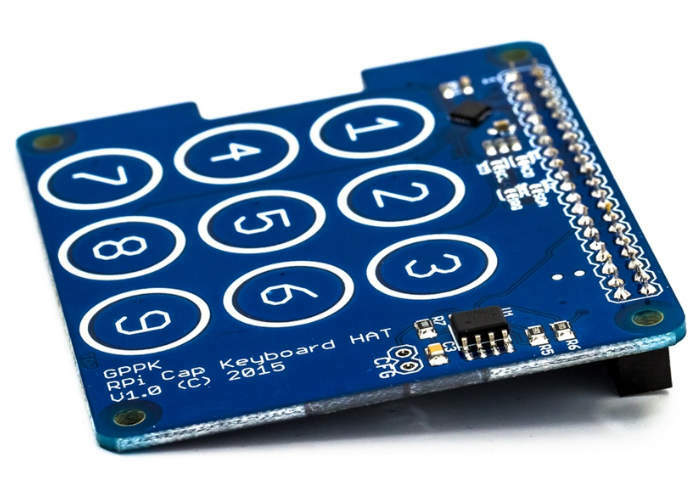 CapHat is a new HAT for all versions of the Raspberry Pi, featuring an easy to use capacitive keypad that gives creators and educators an unlimited array of possible functions to add to their Raspberry Pi hardware. Simply sliding on to the Raspberry Pi GPIO Header, the CapHat offers a full, numbered keypad. and an expansion header, so you can keep on adding more accessories as you create. The CapHat is officially hardware compatible with the A+, B+ and 2, as well as the brand new Raspberry Pi 3. – Robot Controller – Control your newly created robot from anywhere/anytime! Simply program your Raspberry Pi, attach the CapHat, and roaming free you go. – Door Security Key Lock – Stay secure with this programmable door security keypad system. You can program your Raspberry Pi to be a secure system for a multiple locking devices, even a safe. – Connect to an Arduino: Connect the Raspberry Pi & CapHat to an Arduino and communicate over serial to accelerate your Arduino projects. Jump over to the Kickstarter crowdfunding website for more specifications and the ability to back the project with pledges starting from just £14 for earlybird backers, with shipping expected to take place during April 2017. If you enjoy building Pi projects you might be interested in our comprehensive list of Raspberry Pi displays, HATS and small screens.